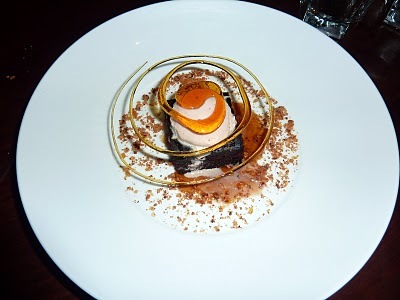 Hippo Creek is one of those places that I’ve heard a lot of praise from meat-lovers for. Steak probably isn’t my number one meal choice, but I am partial to a nice steak on the odd occasion. 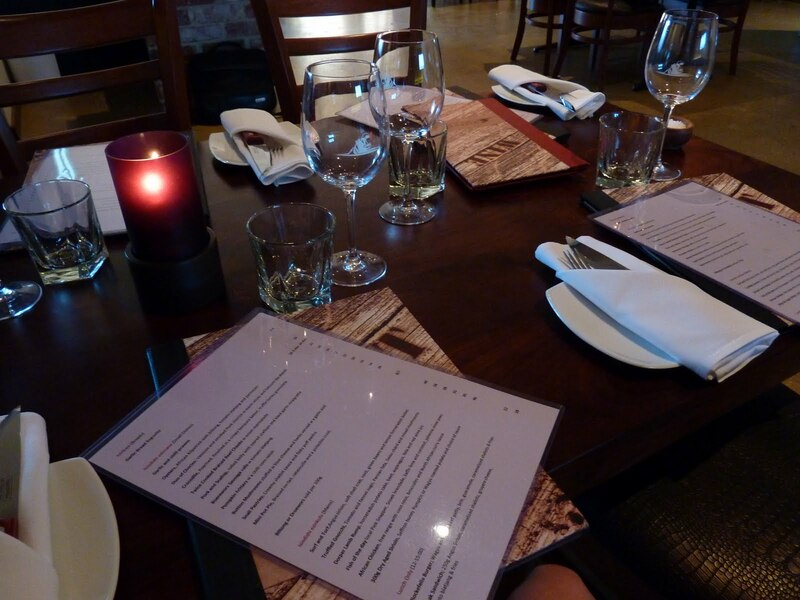 So when given the opportunity to pick a place for dinner for a visiting banker I thought that the time was right to visit Hippo Creek in Subiaco.Upon walking in I really liked the décor. A lot of earthy tones, very modern looking, and you can’t go wrong with a glassed window into the kitchen, proudly displaying quality cuts of meat. It was a nice touch and it worked well for a steak lover’s paradise. 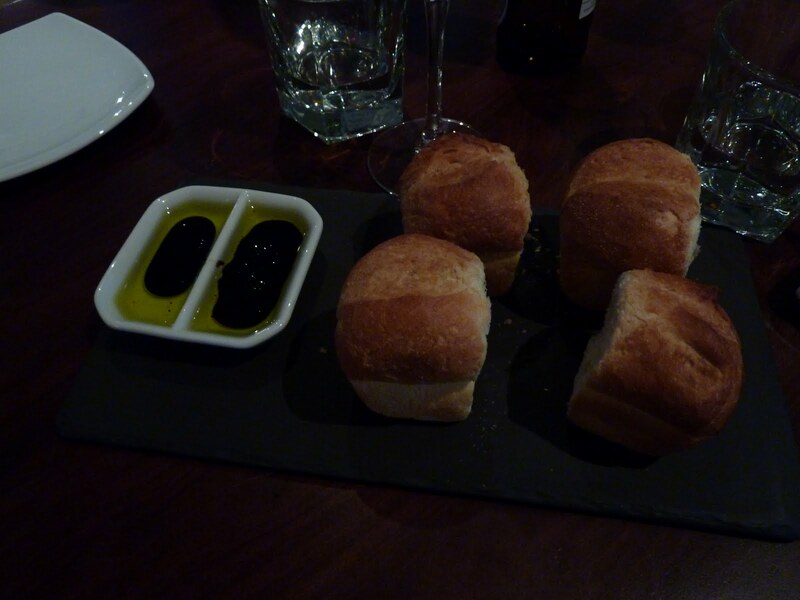 Service was friendly, prompt and attentive and we were brought some complimentary bread with olive oil and balsamic not long after all our group had arrived, which is always welcome. 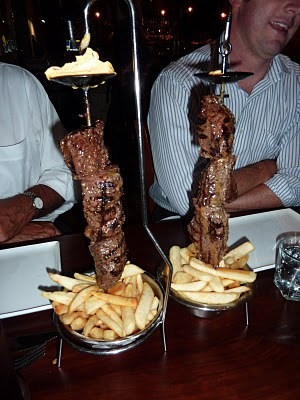 I went along with 3 fellas and 2 of them decided to tackle the Hunters Assaghai, which is marinated cubes of rump on a skewer hanging over a bowl of fries with your choice of garlic or chilli butter dripping down served with a side salad ($35.50). It was impressive just to look at! They both managed to polish the meat off, with only a few stray chips serving as a reminder of their meal. It got two thumbs up from them both. I wasn’t quite as brave as them and went for a more dainty option, a Cape Grim Beef 120 Day Grass Fed Angus Beef Marble score +1 from Tasmania with two root mash and blue cheese dressing. ($40). I am a massive parsnip fan and the tasty blend of parsnip and potato in the two root mash was an absolute wonder! 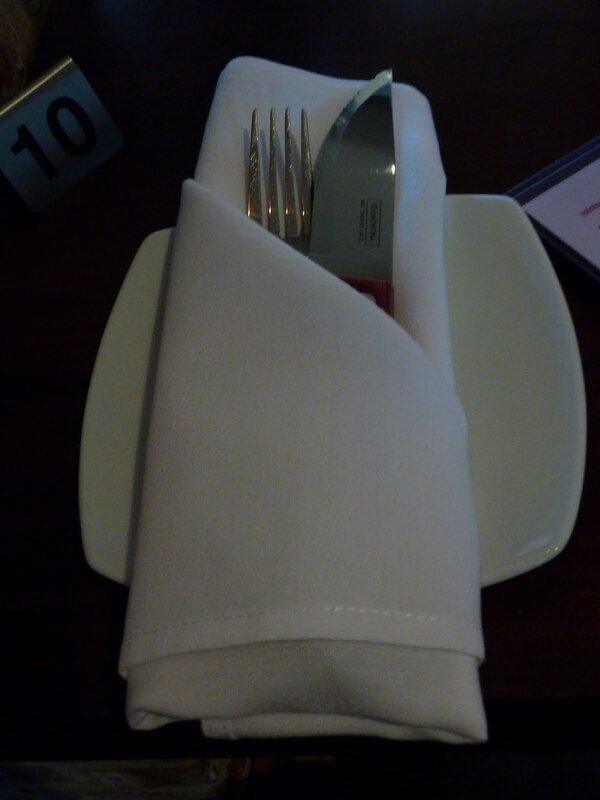 I loved it…… probably more than the steak, is that wrong at a steakhouse? Which isn’t to say the steak wasn’t delicious and cooked to medium perfection, because it really was a great piece of meat. It was also nice to try the blue cheese dressing with it. 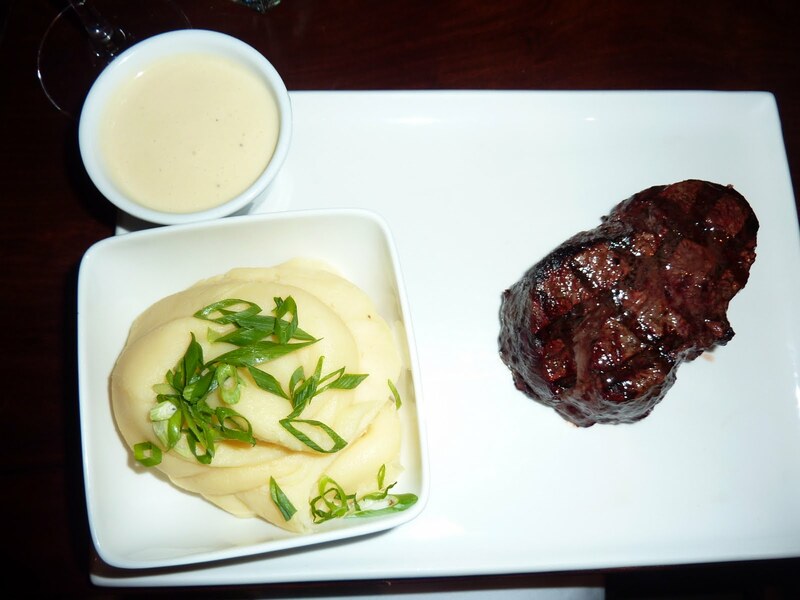 It was the perfect creamy accompaniment and something different for the girl who always goes for pepper sauce with her steak. We also ordered a greek salad ($15) to share which was very generous with its blend of ingredients and the grilled haloumi which garnished the top was quickly gobbled up. 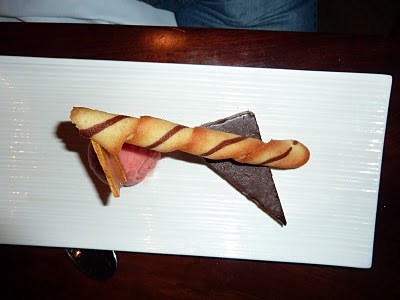 You’d wonder where we might have found room for dessert but the menu options proved too tempting to pass up. Nath went for a sticky date pudding style dessert, which came with a beautiful toffee twirl on top – looked really impressive and tasted good too I’m told. Richard choice the chilli chocolate tart, which looked entirely indulgent and he seemed very happy with his choice. 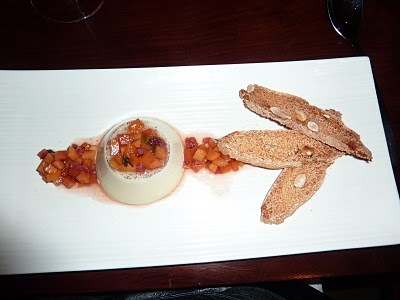 And in keeping with trying “something different” I chose the lavender panacotta. It was amazing. A light lavendery flavour and the panacotta just melted in your mouth. The stone fruit salsa worked so well with it. It was one of those desserts you really wanted more of. I was pretty impressed with Hippo Creek, definitely keen to take GG along another time, given his appreciation of steak. Plus it would give me a reason to work my way through their dessert menu!